Definition at line 2352 of file CCopasiXMLParser.h. 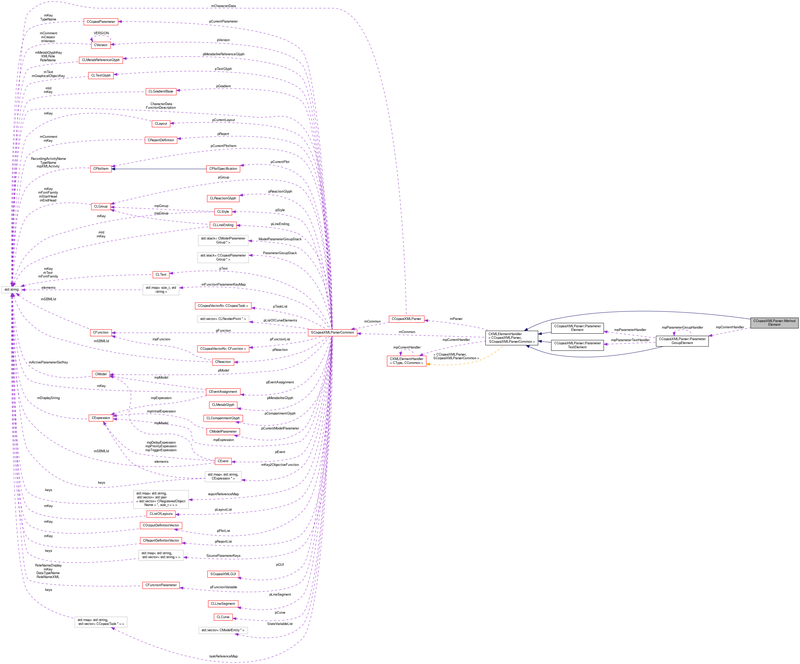 Definition at line 2360 of file CCopasiXMLParser.h. Definition at line 9262 of file CCopasiXMLParser.cpp. 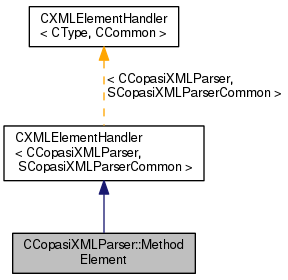 Definition at line 9270 of file CCopasiXMLParser.cpp. Definition at line 9340 of file CCopasiXMLParser.cpp. Definition at line 9275 of file CCopasiXMLParser.cpp. References CCopasiTask::getMethod(), CCopasiMethod::getSubType(), CCopasiXMLParser::mCommon, MCXML, CExpatTemplate< CExpat >::mParser, SCopasiXMLParserCommon::pCurrentTask, CCopasiTask::setMethodType(), CCopasiObject::setObjectName(), toEnum(), UNKNOWN_ELEMENT, CCopasiMethod::unset, CCopasiMessage::WARNING, and CCopasiMethod::XMLSubType. Definition at line 2371 of file CCopasiXMLParser.h. Definition at line 2366 of file CCopasiXMLParser.h.